Splendid Southern Cape Cod with superb curb appeal boosted by the mature landscaping and front covered porch. 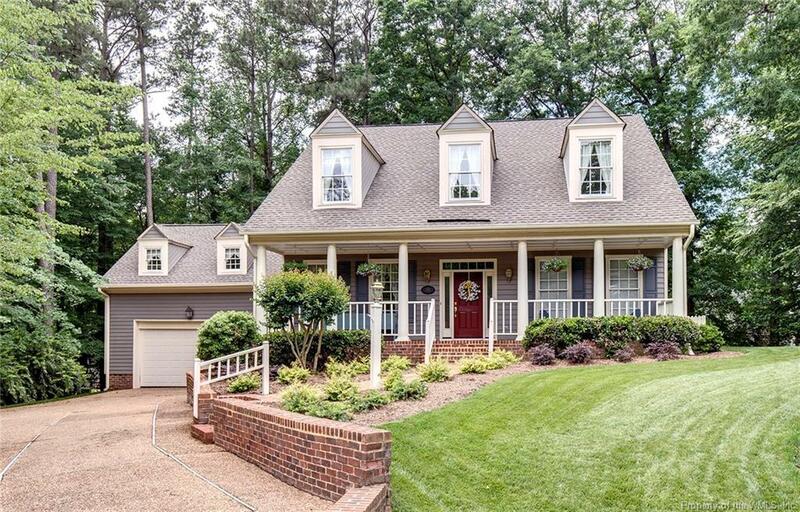 Desirable open floor plan with hardwoods throughout the first floor. Lovely formal dining room, great room with cathedral ceilings and gas fireplace, gracious kitchen and casual dining space, and a warm & inviting sunroom. Comfortable first floor master bedroom with walk in closet and private bath. The second floor offers two guest bedrooms, each with their own full bath, a bonus room, and a storage space. Serene backyard with patio and mature trees. Whole home generator.